House Minority Leader, Nancy Pelosi, is slamming President Trump’s recent executive order on Obamacare and his announcement on the Iran nuclear deal. 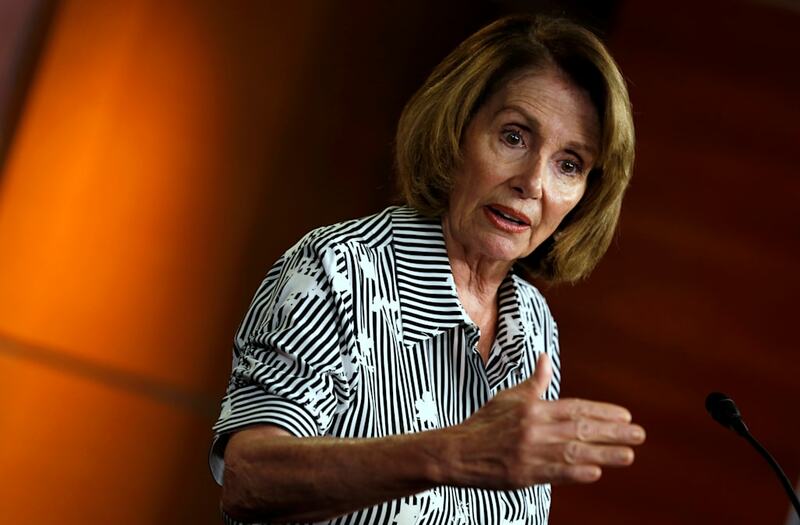 "This week, the week of Friday the 13th is the week that President Trump went rogue," Pelosi told ABC News Chief Anchor George Stephanopoulos on Sunday. The comments come after President Trump signed an executive order that will end subsidy payments to insurers to help low and middle-income families with healthcare costs. Earlier this month the Trump administration rolled back a mandate that required employers to provide birth control coverage. Pelosi made it clear she will not leave her post while President Obama’s healthcare law is under attack. Last week, the president also said he wanted to decertify the Iran nuclear agreement, a key Obama-era deal. He is now leaving it to Congress to decide if the U.S. will stay in the deal. “What he’s doing is hurting the American people," Pelosi said. "This isn't about policy or politics. It's about the American people.